Memories to last a Lifetime –The memories I have made while in LEA could last me a lifetime! With the fun activities, breath-taking nature walks and fun summer camps, who wouldn’t love spending time with LEA? I could write a book on all of the memories from LEA, but I am going to focus on telling you one of my all time favorite memories while participating in LEA. 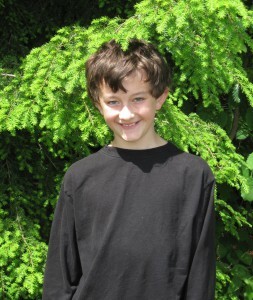 I remember in my first year of LEA, I loved going outside, exploring the outdoors and learning about the different specimens that lived behind Stevens Brook (Elementary School). When the year ended, I was devastated with the fact that I had to wait until the next school year to go to LEA again! On the last day of LEA, however, I was thrilled to discover that LEA was having a summer camp! I quickly grabbed a brochure and went home. My mom signed me up, and couple of weeks into the summer; I was enjoying the great outdoors with LEA! We would play games in the parking lot…go on fun walks through the woods, see all of the neat vegetation, and go into the lodge to learn about animals that lived in the woods! The week went by so fast and I had so much fun! That was one of my favorite memories I have made while in an LEA program. 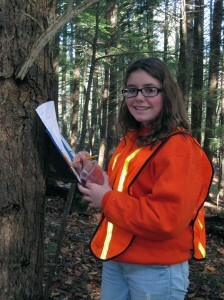 Olivia Bartlett observing parts of the water cycle in her forest plot. One of my most memorable LEA experiences is when the class was outside one day during a (tracking) lesson. The actual lesson was interesting, but something we saw intrigued me even more. With tracking reference cards in hand, we matched the tracks we saw to the patterns of the card. Our class instructor, Sarah, guided us further down the trail where we saw a body dart across the way. Creeping towards it little by little, we came to the conclusion that the small animal was a mink. I was very exciting because it was my first time seeing one…After some observations the mink finally disappeared into the snowy white woods, leaving behind only its tiny footprints to examine. As we walked back to the classroom everyone was still in awe because of what we witnessed. Alexa Marquis identifying Benthic Macroinvertebrates during Place Camp. Turkey Feathers at Place Camp – My favorite time at LEA took place during the second week of PLACE camp when all the campers were led to the Emerald field to catch bugs and try to identify them…I was running after a pretty large dragonfly with other campers helping me in the chase to try and capture it. We ran further down the field to a large rock where (the dragonfly) landed when something bizarre caught our eyes. Around the rock were a few scattered turkey feathers that looked like they had been forcefully pulled off. Completely forgetting about the dragonfly all the campers and councilors started noticing even more feathers. It continued in a trail and led to the wood line which we didn't cross. We wondered what happened to the turkey. Maybe it was a bobcat? What about a coyote? Maybe another turkey? A dead turkey that got picked apart by a fox or another scavenger? The possibilities were endless and to this day I still wonder what happened to that turkey. I can't wait to get back to discover more puzzling adventures with the campers and councilors of Place Camp. Veronica Messina looks for animal tracks with LEA in the winter. My favorite adventure with LEA was when we hiked Bald Pate to get soil. It was not the soil I liked it was the nature. Trees full of green, and all of the colors of the earth were on the flowers in bloom. It definitely took my breath away. I was tired but I kept on hiking telling myself that it would be worth it. How right I was. When I reached the top I think I stopped breathing. Other spots were amazing, but that, that was spectacular and the most beautiful site I had seen in all of my 10 years of life. The lake looked like crystals. I could not take my eyes off of it, until I realized I was lagging behind. Everybody was looking and learning about a special kind of tree (pitch pine) that grows in ash (after a fire)… When I left, I felt thrilled to share my day with my family so that we could go and see the beauty together. Plus I want to look for that special sort of tree again. My favorite and most memorable moment was with Mary Jewett, when she brought us the trout eggs! I remember when we first got them, they were little and there were like, 200 eggs in our tank. Me and my friends would go in once a week and check the temperature and the pH level! I just really thought it was fun. 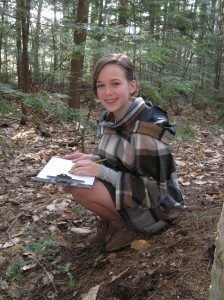 Haley Clements-Bragdon makes soil observations during class. 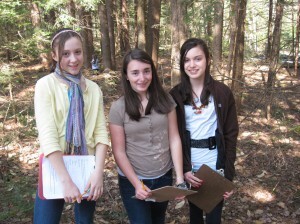 Using a Motion Sensor Camera during the 7th Grade Field Ecosystems Program – My favorite thing we did in LEA was when we set up a (motion sensor) camera outside near where we thought there was an animal den. We had the camera out for two weeks. After the two weeks we looked at the videos and it was really cool! We found out that the mystery animals (living in the den) were porcupines…There were five of them! The porcupines had some visitors as well. In the footage we saw a gray fox, a woodland jumping mouse and a raccoon. It was really cool to see what animals do when they think nobody’s watching! 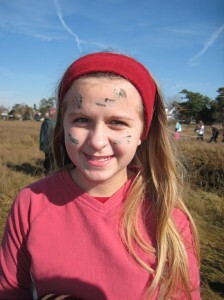 Holt Pond Field Trip for the 4th grade Place Program – “Wart!” Goes the bus as it jerked to a stop. We were finally there at Holt Pond. We got off the bus and met our guide, Sarah Morrison. We ate a quick lunch and went on a walk and saw B.M.I.’s. That stands for benthic, meaning bottom dweller; Macro, meaning can see with eyes; and invertebrates, meaning no backbones… We saw mayfly nymphs, fingernail clams, dragonfly nymphs, leeches, scuds, water scorpions, caddisfly larvae, damselfly nymphs and isopods. Afterwards, we went on a board walk while our classmates pointed out some things of interest like a pitcher plant, a beaver lodge, and old man’s beard (a kind of lichen). I pointed out tree club moss and balsam fir. When we got to Holt Pond it looked like any other lake, but Sarah told us to jump together on the count of three. When we did, it made a ripple through the grass showing that there was water under the layer of sphagnum moss and grass. Many of the plants grew there because wind or birds dropped seeds there. When the seeds grew they connected to each other and the land and moss grew over the water. We had a great time visiting Holt Pond! There is just something about the LEA program that keeps me interested. But this, one particular day keeps me so interested, that I remember it like it was yesterday… On a bright fall day, our class went outside to work on our observation skills. All we needed for this class was ourselves, a blindfold and three of our five senses: touch, hear and smell. What we did was grab a partner, put the blindfold on them, spin them around a couple of times and guide them to a tree…Once you arrive at the tree the one with the blindfold on has to use as many senses as they can to try and remember the tree…When we finished doing this, we had to walk back to where we started. Then our partners took the blindfolds off and had to find their tree. I think the reason this lesson really stuck out in my head was because it was really fun to do and it really helped us use our observation skills! LEA is such a wonderful thing to have because it makes everything that we learn fun! I am such a lucky person to have been able to enjoy LEA! I’ve had many experiences with LEA, so my favorite was hard to choose. Then it hit me. (My favorite memory) is Big Night, when you help the amphibians and reptiles cross the road. Of course I was only 5 or maybe 6 (years old) but I still was amazed with the amphibians and reptiles walking down the road. I was amazed because I’d never seen this many amphibians, let alone reptiles, before. That soggy day was wet, but fun and I learned that there are more creatures in the world than you think about. Anja Schwieterman exploring marine ecosystems. 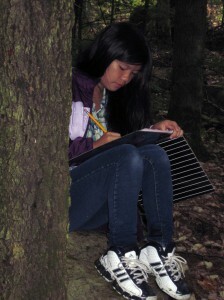 Samara Morris writing a journal entry out in woods behind school. exploring the woods and we used our senses to explore the habitat around us. We learned about the different kinds of cycles, animals, plants and everything in between. We also had a journal, which we drew and wrote in. We would talk about what we did, what we liked about the day, and what we learned…After the season was over, I felt happy that I had joined Discovery kids and wanted to do it again. I would totally recommend this for people who are fascinated by the outdoors. This was a very good experience for me and I loved it. Enjoying the “Hey, you!” Cruise – My favorite LEA class was definitely the “Hey, you!” Cruise. I liked it the most because we got to go out onto a boat with kids from our own school and a different school… We had to keep an eye out for people who might be putting fertilizer on their lawn right on the edge of the lake, or putting any type of chemical on the land near the lake. We had to then get their attention and tell them to stop. We had to yell at them a few times before they ran away. We learned about all of the things that can pollute the water, and we also learned how to prevent them. I felt good after the event because it was just so much fun. I loved being out on the boat with my friends, and I also loved shouting at people.